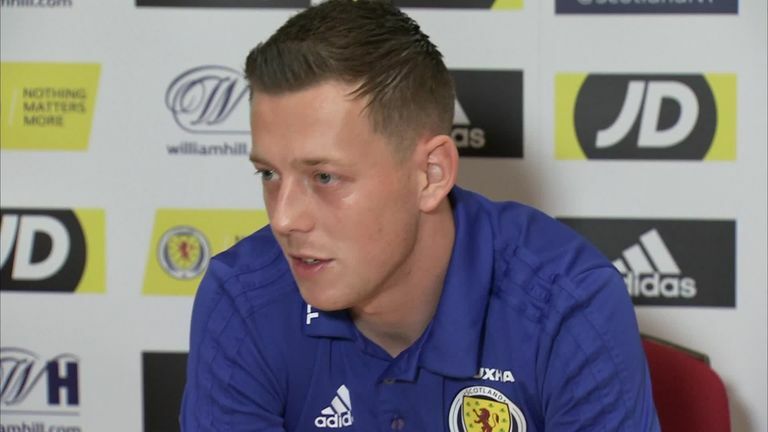 Callum McGregor believes Belgium are the "perfect" warm-up opponents for Scotland ahead of their Nations League opener against Albania. Hampden Park welcomes the World Cup bronze medalists on Friday night before the visit of Christian Panucci's side the following Monday. "As a professional you always want to test yourself and those types of games are perfect for you," said the Celtic midfielder. "You want to play against the best players and Belgium certainly proved that at the World Cup in the summer." While the Belgium squad is packed with well-known superstars, Albania are more of an unknown quantity, despite featuring at the Euros in 2016. But McGregor says his experience with Celtic in Champions League qualifiers taught him not to underestimate lower-ranked sides. "There's certainly no easy games these days. Everyone is at a level where you are fit and organised and it makes it difficult to play against right from the off. "These teams are always difficult when you come up against them. We see it in the Champions League qualifiers, you come up against them and they are pretty well organised and really good." Alex McLeish's side are in a bid to qualify for the first European Championship finals appearance since 1992 - knowing the Nations League provides them with a one-off chance to secure qualification early in the international calendar. The Scots are in a three-team group along with Albania and Israel and the Hoops player knows there is no margin for error as they look to make the play-offs. He said: "Your first game is vital, especially being at home, you want to try to get a positive result and that springboards you forward into the campaign. "We know the set-up and it is a good opportunity to qualify for the Euros and the squad are well aware of how important it is." Scotland entertain Belgium at home on Friday night before taking on Albania the following Monday, with both games live on Sky Sports Football.